How To Negotiate With Your Credit Card Company: What Options Do You Have When It Comes To Credit Card Debt? By Peter Anderson 5 Comments - The content of this website often contains affiliate links and I may be compensated if you buy through those links (at no cost to you!). Learn more about how we make money. Last edited March 4, 2012 . For many people in the United States the credit card is their only source for “backup cash” in case of an emergency of some sort, be it an unexpected medical bill, a burst pipe in their basement or a need to replace an appliance. In fact last year The National Foundation for Credit Counseling found in an online poll that fully 64 percent of Americans would use a source other than their savings account in order to pay for an unplanned $1,000 expense. When those unplanned expenses do arise, they're not left with a lot of good choices beyond using credit. Money magazine once stated that 78% of us will have a major negative event happen in any given 10-year period of time. In other words, most of us are going to have a major negative event whether it be a health issue, a flood in our home or something else. At our house we've had a few of these major negative events, with a hospitalization costing almost $250,000 (paid for by insurance) along with other various health issues. We planned ahead with insurance and a 12 month emergency fund so we weren't adversely affected. Having a problem is a near certainty, so it's important to prepare yourself for that eventuality. But what if you didn't plan ahead for whatever reason – or you weren't able to save up an emergency fund in time before your major negative event happened? What if you've already built up a bunch of credit card debt and are now having problems keeping up on the payments? What are your options for negotiating that credit card debt to a lower amount, getting rates reduced or otherwise getting help from the credit card companies? I've only had to deal with credit card debt a few times in my life. For the most part I've never had more than a couple of thousand dollars on my cards, and was able to pay them off in a relatively short time frame. I've had family and friends, however, who haven't been as lucky and have had thousands upon thousands in credit card debt racked up due to medical bills, property taxes and other things. 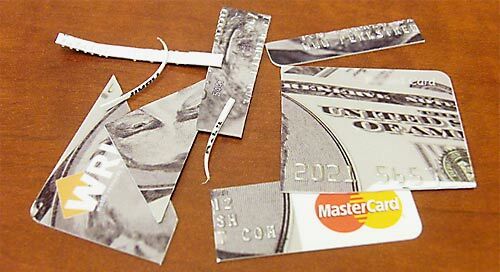 Dealing with credit card debt can be a painful and demoralizing experience. For a lot of people it is a scary process because there is so much confusing information out there about how to deal with the debt and work with the credit card companies (or others) in order to get the debts paid off, and they're not sure what options are the best. So what are some options when you find yourself deep in credit card debt? One thing that I've learned over the past few years is that it never hurts to ask a company to help you out. Whether it's asking your bank to remove an overdraft charge, your TV provider to remove a fee increase or negotiating a lower amount on your medical bills, it never hurts to ask. In many cases it will save you a lot of money. Negotiating a lower rate on your credit card isn't always going to be successful, but if it is you could save thousands in interest, depending on what rates you receive and for how long. Debt Goal has a tool called Negotiate My Rate where you can go to see what your potential savings might be from getting a lower rate, as well as showing you what success other people have had getting lower rates from certain companies. 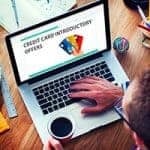 Gather information on competitive credit cards: Save a few of the best credit card offers you get in the mail with lower rates than your current card and 0% introductory offers. Use these as a starting point for your negotiation, as a tool to get your own company to lower their rate – or risk losing you. Make a list of all the offers. Call and ask for a supervisor: While you don't necessarily have to talk to a supervisor right away, you will want to ask if the rep you're talking to is authorized to lower your rate. If not, ask to speak to a supervisor. Always be polite and courteous: As the old saying goes, you'll catch more flies with honey than with vinegar. I've always found that I have better success getting what I want when I can be nice and get the rep on my side, instead of being threatening and angry. Mention your history with the company: Mention that you've been a good customer for x number of years, and that you'd like to continue being a customer. If you've got a good payment and credit history, bring those points up. Ask them to match offers or rates from other companies, or match their own offers: Ask the person with the authority to lower your rate if they will match the rate you could get with one of the other offers you've received and kept. Ask if they have any promotional rates you can take advantage of. Ask what you would need to do to qualify for a lower rate, and if you could qualify later. Ask about hardship or workout programs: If you're really struggling to make payments you can ask about any hardship or workout programs that they have available, and whether you would qualify. Your rate reduction may be even greater if you qualify, but sometimes you'll also be required to close the credit card and convert your debt to an installment loan with direct pay from your bank. Other times the rate reduction is temporary. One thing to remember is that you may have to call and ask for a reduction more than once. Be persistent. Negotiate My Rate offers some constructive questions that you can ask your customer service rep if they're not willing to offer a reduction right away. Sometimes you may not be successful in getting a lower rate with your current company. In such a case you may want to consider transferring your balance to another card if you can find a good offer. Just be sure to take into account whether or not they have balance transfer fees, as fees can seriously eat into any savings you may see. Also know the terms of your new card as well, and how long promotional rates last. Sometimes you may not be able to get a rate reduction on your own, and you may be better off working with a credit counseling agency. I recommend working with the National Foundation for Credit Counseling to find an accredited non-profit agency that can help you come up with a good plan for dealing with your debt. Steer clear of for-profit companies or those who charge outrageous fees upfront before settlements are made. A credit counseling agency can help you to figure out what is the best course of action for your situation. Some of the options are discussed below. If you're dealing with severe enough debt and you qualify, a credit counseling agency can help you to set up a debt management plan. A debt management plan will allow you to pay back your debt over time, often at a reduced interest rate or with reduced balances. The counseling agency will meet with you and make arrangements with all of your creditors on your behalf. Typically all your cards will be included in the program, and your cards will be closed. You'll typically make payments to your third party agency instead of your creditors, and depending on your debt can take anywhere from 3-5 years to pay off. Typically a credit counseling agency will charge a setup fee of around $30-$40, and then collect monthly fees of about $30 while you're repaying debt. Be careful to work with a reputable debt management company as many bad debt management companies have been sued by the FTC for taking people's payments and then never forwarding them on to the creditors (and then working towards a settlement on the debts later). Sometimes you can work with your credit card company on your own, or through a third party agency to settle your debts for less than you owe. It can be tough to get companies to agree to these types of things, however, unless you're already in trouble (missing payments/etc). Make sure to get everything in writing when agreeing on a settlement. Beware of third party companies who make wild claims about how they'll get your debt settled for pennies on the dollar for an upfront fee. Quite often they're not very reputable, and don't offer any extra services than you could have done on your own. Debt settlement will also damage your credit score as it will show as a debt settled for less than the full amount. Creditors don't like to see that. In some extreme cases you may want to consider filing for bankruptcy. If you aren't able to make payments on your debts, and there isn't a foreseeable future where your income and situation will be improving, it may be an option to discuss with a credit counselor or a bankruptcy attorney. Just keep in mind that bankruptcies will look bad on your credit report, appearing there for 7-10 years. It can make it difficult to do anything for quite a few years as far as buying a home, renting, etc. As such it should only be considered as a last resort measure. Dealing with credit card (and other) debt is not a fun thing to go through. Your best bet is to plan ahead so you don't end up in debt, but in case you do, there are options. You can work with your credit card company to lower your rates, or to set up a hardship or workout program. If that doesn't work out you can always work with a non-profit credit counseling agency in order to help you figure out what your best plan of attack is. They could help you to set up a debt management plan, work out a debt settlement or even advise you when bankruptcy may be an option to consider. The bottom line is that there is hope, and there are options. Just make sure you know what you're getting into, how much you'll be paying, what the repercussions are to your credit and taxes, and whether or not the plan will actually improve your situation. Have you ever successfully had your rate reduced? Had to work out a debt management program or debt settlement? Tell us your experience in the comments. Last Edited: 4th March 2012 The content of biblemoneymatters.com is for general information purposes only and does not constitute professional advice. Visitors to biblemoneymatters.com should not act upon the content or information without first seeking appropriate professional advice. In accordance with the latest FTC guidelines, we declare that we have a financial relationship with every company mentioned on this site. I like the list of questions to ask. Very useful and empowering script for someone to use. Hi Peter, this is an excellent and thorough article on the options people have when they’re having trouble with debt. Another one that I’d like to throw in there is Debt Consolidation via something like the Lending Club or another well reputed company..or via a HELOC if you have any equity in your home. The latter is a secured loan though, so that might be something one would have to be very careful about paying back..else you could end up losing your house! You make a good point, I didn’t really touch on doing a debt consolidation loan in this article, although it’s definitely a good option for some people. Thanks for bringing that up. You just have to be careful that the rates you’re getting on the consolidation loan are better than your current rates, that the term is similar or less and that you don’t end up paying more because of doing the loan. Lending Club is a good option for a lot of people I think, and I’ve known people who have used it to do debt consolidation loan. Talking with your credit card company is the smart thing to do. After all, they would rather get their money back even if they have to suspend or drastically reduce the interest payable. Paying the minimum each month just means that interest stacks up and the length of time it will take to pay off the card completely gets longer and longer which can be soul destroying. This is a great overview- One thing I want to add is that when you’re speaking with your credit card company to negotiate a lower interest rate, don’t let them know any details about your financial situation (in case you’re struggling). This will trigger them to put a notation on your account with the possibility of flagging it as a potential high risk account. This can lead to your credit limit being shut down. Next Post: Will You Have To Pay Taxes On Forgiven Mortgage Debt Or Principal Reduction After A Foreclosure Or Short Sale?